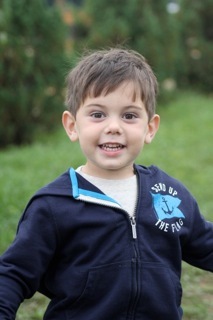 October 8, 2012 | By Chrissy | Filed in: Inside Scoop. 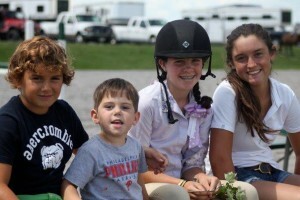 Summer 2012 was filled with great weather and lots of great horse shows! Congratulations to all our riders. “Best in Blue” and Shelby: Great ribbons at Brandywine local day in pre children’s horse with a 2nd and 5th place over fences. 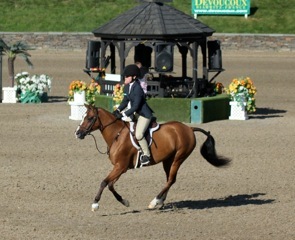 “Gingersnap” and Cristyn: Ribbons in children’s hunter ponies at Brandywine, Middlesex County, Swan Lake, Saugerties, and Marshall & Sterling Finals. Week 6 at Saugerties they won the Marshall and Sterling Medal, and ribboned in her division. During the Children’s Hunter Pony Finals they were 8th under saddle, 6th over fences, 8th overall large and 12th ovearll pony out of 75. 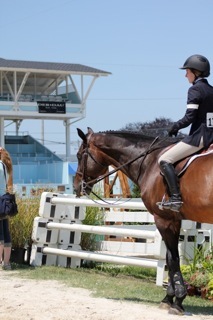 At Marshall And Sterling Finals, they earned 2nd and 7th over fences in the children’s hunters and 3rd in the Children’s Equitation Large Pony Final. 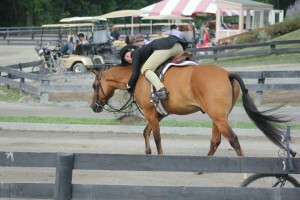 The following weekend they were 2nd in the H&H Tack Shop Pony Medal Final held at the CPJHSA horse show. “Gralix” and Devon: Debuting in the jumper division, getting ribbons and being in the money at Duncraven, Saugerties, and the Devon Fall Classic. Week 6 of HITS they were 4th in the low children’s jumper classic and during the Devon Fall Classic they were 6th in the classic. 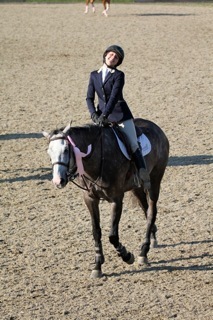 “Gralix” and Emily: 7th place in the Josey Mohler Equitation Final at the CPJHSA horse show. 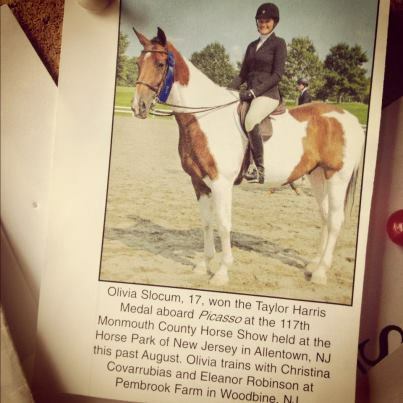 Special Thanks to Devon for sharing her wonderful mount! “Harvey Davidson” and Caitie: Great ribbons at Brandywine, Middlesex, HITS, Marshall and Sterling Finals, and Swan Lake just to name a few. 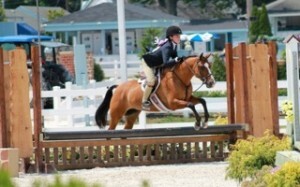 Some highlights are 2nd in week 6 of Saugerties and 8th under saddle in the children’s hunter pony medium finals also. 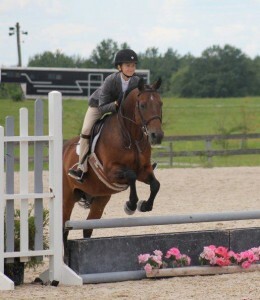 They also earned 2nd place at Marshall and Sterling Finals in the children’s hunter pony medium under saddle. 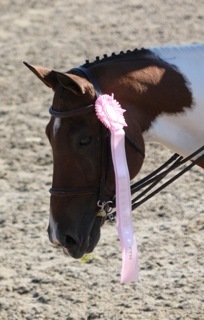 “Picasso” and Olivia: Debuted in the hunter derby’s and continued in the equitation with ribbons everywhere. 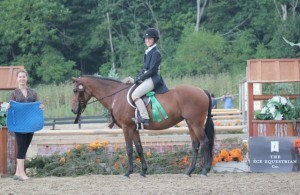 At Brandywine they were 5th in the PHSA Hunter Derby under the lights held at the Devon Show Grounds, 3rd in the Woodedge Hunter Derby in July, 1st in THIS at the Monmouth A held at the Horse Park and recieved the high score rider of the day award. 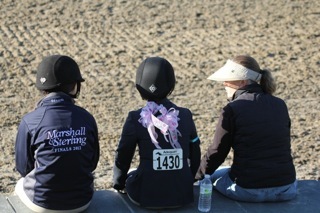 Ribbons at Marshall and Sterling Finals with a 4th in the Children’s Hunter Horse and a 5th in the Children’s Equitation out 89. 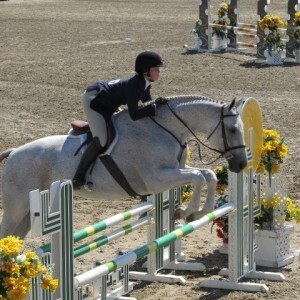 Most recently they were 7th at Capital Challenge at the Prince George Equestrain Center in the open equitation. “Puttin on the Ritz” and Faith: 1st in the EPPHA pre children’s equitation final held at Swan Lake for the benefit of EPPHA. 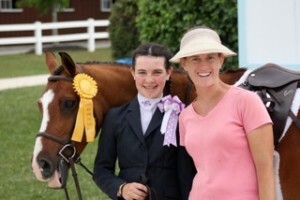 Great ribbons at Brandywine local day and the eppha horse show this summer. “Sabotage Z” and Kendall: Qualified for all the major equitation finals including; USEF Medal Finals, USET Young Riders, Maclay Regionals, Marshall and Sterling Junior Medal Finals, and PHA Medal Finals. Most recently placed 8th in Marshall and Sterling Junior Medal Final. 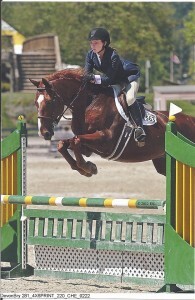 Kendall was successfull in the jumper ring, also. 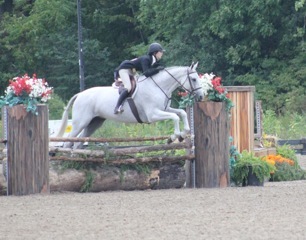 ‘Love Actually” and Kendall were 3rd in a modified junior jumper speed class at HITS during week 6 and were reserve champion at Brandywine in the low junior jumpers. “Halladay” and Kendall had an awesome Marshall and Sterling Finals and placed 5th in the $3500 modified junior jumper class and 4th in the $7500 modified junior jumper class. 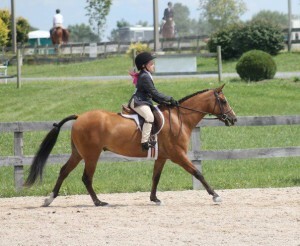 Special Thanks to Emil Spadone for lending us such a great horse for the event! “Wilhelm” and Emily: 1st places in both the Marshall and Sterling Medal and the Josey Mohler Medal at the EPPHA Horse Show. Qualified for the Marshall and Sterling Children’s Equitation in only a handful of horse shows and was 15th out of 89 at the final. Special Thanks to Kendall for sharing Wil. 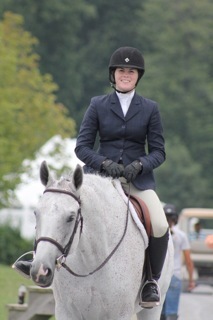 “Wilhelm” and Kendall: 1st place in the $5,000 Hunter Derby at Duncraven in August. 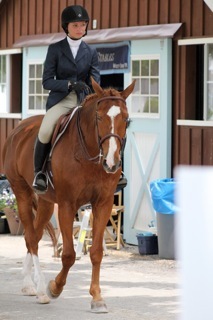 Qualified and Competed in the $500,000 Hunter Prix at HITS in Saugerties and was 14th in the 2nd round. 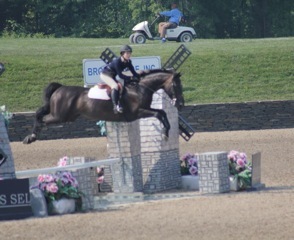 9th place in $25,000 National Hunter Derby Final at Swan Lake Finale. 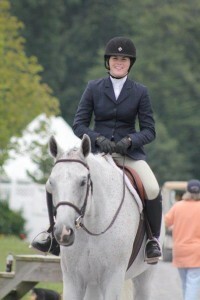 11th place in $5,000 National Hunter Derby at Brandywine and 7th place in National Hunter Derby at Swan Lake. 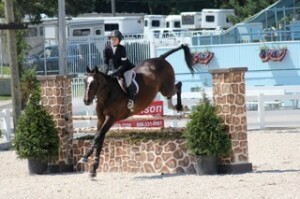 They were also 2nd in the $2500 Hunter Derby at Woodedge in the late spring. 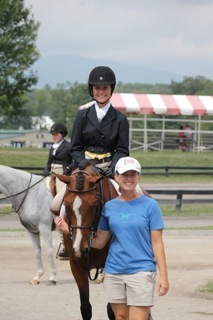 Good Luck to “Sabotage Z” and Kendall at the Equitation Finals. 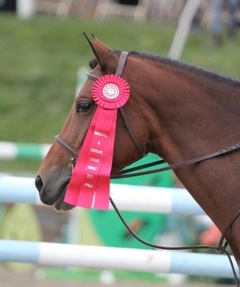 Pembrook Farm Horse Shows are October 20th and November 3rd featuring the $500 Pembrook Farm Hunter Derby, Marshall and Sterling Hunter, Jumper, & Equitation Classes, and on October 20th the Boot and Bridle Medal Final. Good Luck to all participating and don’t forget the Halloween costume class on October 20th.